The majority of residents in Australia are unaware that Medicare does not cover the costs related to ambulance services and transportation. While concessions are provided by some states, this does not necessarily apply when traveling interstate. Today, emergency call-out fees cost up to A$1,200, which makes it prohibitively expensive to opt for ambulance treatment and transport. According to the latest Report on Government Services (RoGS) from the Productivity Commission, there were 3.5 million incidents nationally between the 2016 and 2017 period which required 4.4 million ambulance service responses to attend to approximately 3.3 million patients. This shows that ambulance services are used very often. For that matter, any healthcare emergency can be traumatic, and the affected person should not have to worry about the cost that would be incurred in emergency response and treatment. Barring the residents covered by the concessions given below, ambulance cover is both necessary and essential. For residents with a Health Care Concession Card or a Pensioner Concession Card, free emergency ambulance services are available. For residents with a Health Care Concession Card, Pensioner Concession Card or Commonwealth Seniors Health Card, free emergency ambulance services are available. For residents with a Health Care Concession Card or a Pensioner Concession Card, free emergency ambulance services are available. The option is also available for residents to buy ambulance cover via a registered health fund, or subscribe to a state ambulance service. Free ambulance cover is provided to all Queensland residents through the state government. Residents can purchase ambulance cover via a registered health fund, or subscribe to a state ambulance service. Free ambulance cover is provided to all Tasmanian residents through the state government. For residents with a Health Care Concession Card or a Pensioner Concession Card, free emergency ambulance services are available. Residents can also purchase ambulance cover via a registered health fund, or subscribe to a state ambulance service. For residents with a Health Care Concession Card or a Pensioner Concession Card, free emergency ambulance services may be available. Residents can also buy ambulance cover via a registered health fund, or subscribe to a state ambulance service. For residents with a Department of Veterans Affairs Gold Card, State ambulance services are available across the country. In each state, different rules exist for concession card holders and hence, residents are advised to check for any exclusion. During the event of a life-threatening illness or injury, the emergency cover is restricted to ambulance services treatment and transport. 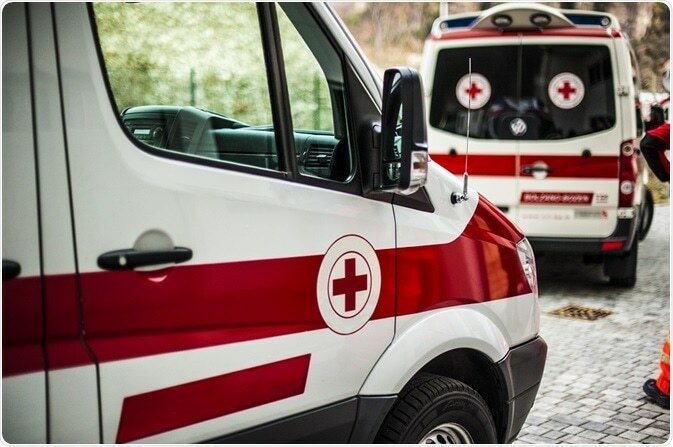 Comprehensive cover, as the term indicates, provides financial protection against the expenses related to ambulance services during an emergency as well as non-emergency situations. There are some comprehensive policies that also cover the costs related to ambulance treatment and transport by air or at sea. Conversely, emergency cover and comprehensive cover are often unavailable to residents who have already subscribed to a state ambulance service. All private health insurances usually cover ambulance service, although the type of cover could differ based on the insurance product. When customers are comparing health insurance products, they should look both at the type of ambulance cover included and the limits of the ambulance benefit. This is because some health insurance products may only cover the call-out fee cost, while others restrict the number of claims that can be made on a yearly basis.